Back in the days of the original Galaxy S and the Galaxy Tab 10.1, Samsung was frequently accused of copying Apple at every turn (often by Apple themselves). And let's not kid ourselves, Android fans: back then, Samsung kinda had it coming. Over the last three years Sammy has been forging its own identity with unique hardware designs, massive software development, and enough money to make King Midas feel insecure. So why are they still pining after Apple like a love-struck college freshman stalking the starting quarterback? Case in point: the golden Galaxy S4. It's pretty much exactly what you think it is. 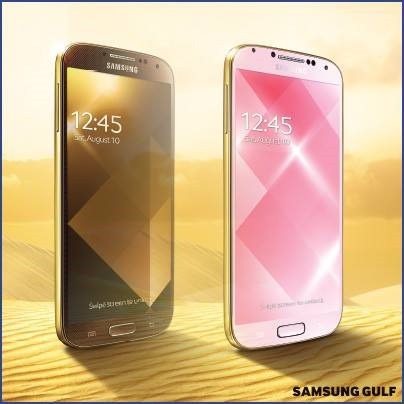 Samsung's Mobile Arabia Twitter account sent out one photo this morning showing a new Gold Pink color option for the Galaxy S4, and the regional Facebook account also showed Gold Brown. It looks like they just replaced the back shell and battery cover of the pink and brown phones with a gold-painted versions, but with no PR and no price, it might actually be gold-plated. (This particular Samsung account frequently announces products aimed at Dubai, and I don't want to generalize or anything, but Dubai and ridiculous excess go together like Wisconsin and dairy products.) 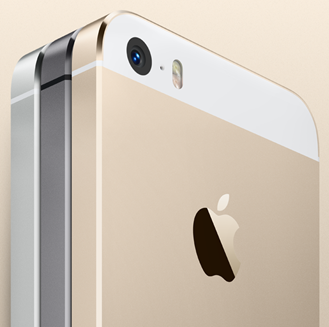 The phones are simply labeled "Gold Edition," and some basic translation implies that they're simply gold colored. The reveal of these particular phones comes less than a week after Apple started selling its new iPhone 5s, including a "champagne gold" model that instantly became the most hard-to-find option. Whether that's a reflection of the general public's lack of taste or of Apple's masterful skills in artificial scarcity is hard to say, but either way, it looks like Samsung wants some of that action. I'm not angry, Samsung. I'm not even surprised. But I am very disappointed in you.